Vanilla— an important ingredient in or cakes, cookies, ice creams, and almost every dessert that makes us drool. The vanilla flavor is used in bakery since ages and almost every part of the world. But do we know that vanilla, despite being a delicious flavor is something more than that? Yes, vanilla is not just a flavor, it has other huge benefits as well. This has the ability to improve hair growth, treat acne, reduce inflammation, speed healing, protects heart and prevents chronic diseases. Today, we will discuss in detail about 10 health benefits of Vanilla. 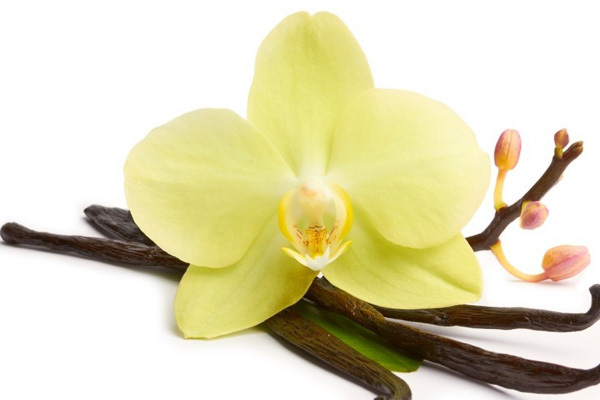 Vanilla flavor is derived from the orchids of vanilla genus that shaped like pods and bears fruits. The vanilla pods are 5 to 22 cm in sizes and they are considered very high in quality when they are larger in size. These pods are harvested by hands with a lot of care. Vanilla has an active ingredient called vanillin, which is known for being important in reducing cholesterol levels in the body. People with higher cholesterol levels have higher risk of heart diseases like attacks or strokes. Less cholesterol levels can prevent blood clots, arteries inflammation and atherosclerosis. So that’s how vanilla extract is beneficial for better heart health. Vanilla is enriched with antioxidants that prevents cells and tissues breakdowns in the body and encourage the body’s natural regrowth. The remedy also has antibacterial properties that protects your immune system and reduces the stress in the body and stronger immune system makes it easier to recover from any illness or outside injury. Being rich in antioxidants, vanilla is beneficial for removing free radicals from the body that can cause the growth of cancer cells. These antioxidants have the higher amount of vanillin, which is known for preventing body from free radical affects like cancer and other chronic diseases. Vanilla has been used to sooth throughout body’s inflammation since ages. This is specifically effective for reducing liver inflammation that can occur due to numerous reasons like if some is heavy drinker. The crucial part of vanilla’s beneficial nature is vanillin that helps arthritis inflammation, gout and conditions that causes inflammation. Vanilla is also a beauty and hygienic product’s ingredient because of its effects on skin and hair. Vanilla essential oil prevents split ends and hair loss while increasing blood flow in the scalp. Applying this oil in your hair leaves the hair smooth, soft, longer and shinier. Vanilla has some super amazing properties like appetite controlling and reducing weight. Vanillin in vanilla lowers the cholesterol levels in the body, increase metabolism, and help you burn more calories throughout the day and help you burn more calories to achieve your goal weight. When you mix vanilla extract with warm water it will soothe your throat, prevent cold, treats cough and other respiratory infections. Antibacterial properties of vanilla extract can reduce inflammation caused by other illness or infections. Vanilla promotes healthy digestion. This is because the soothing scent of vanilla relaxes the feelings like nausea. And herbal vanilla tea can reduce gut inflammation, vomiting, cramping, diarrhoea and upset stomach. The anti-bacterial properties of vanilla extract treats acne. It also helps in cleaning your skin with dirt and germs that causes pimples and acne. 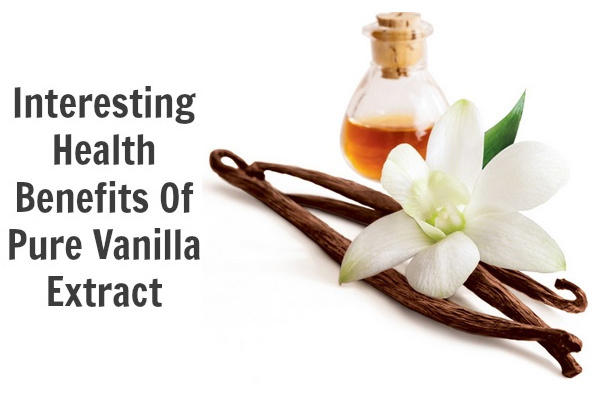 It is one of the major health benefits of vanilla. Antioxidants in vanilla reverses and prevents skin damages due to the presence of free radicals. It reduces wrinkles, age spots and slows down the other ageing effects like fine lines. Vanilla is widely used in make-up cosmetics for its anti-aging properties and soothing fragrance.